It is with the greatest sadness that we announce the death of our colleague and friend Professor David Peacock. David was a key figure at the Department of Archaeology at the University of Southampton. 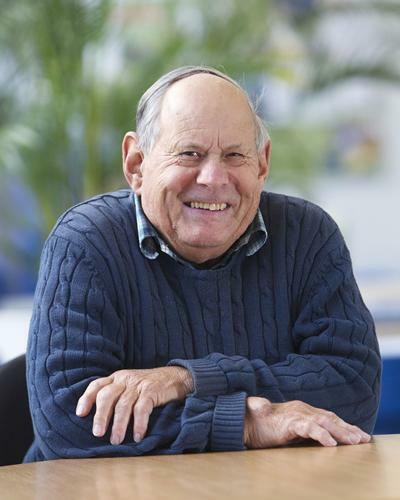 He first arrived here as a Research Fellow in 1968, and rapidly rose to international prominence with his world-leading scientific approach to archaeology. Archaeology and Geology, Deserts and Harbours - A Celebration of the Life and Career of Professor David Peacock. In the first stage of his career in the 1970s and 1980s David focused upon the petrological analysis of Roman ceramics, producing a long sequence of world-leading publications including Pottery and Early Commerce (1977) and Pottery in the Roman World (1982), and making a major contribution to analysis of Roman ceramics at the UNESCO excavations at Carthage. In subsequent years, David built brilliantly upon this experience and undertook three major international field projects in Egypt. His survey and excavations at the great Roman quarry sites of Mons Claudianus (1987-1993) and Mons Porphyrites (1994-1998) focused upon the marble trade, while a later project at the Roman port site of Quseir-al-Qadim (1999-2003) shed light on Roman trade with India, and was followed by fieldwork at the port of Adulis in Eritrea. His many achievements were marked in 2011 by the rare privilege of being awarded both the Kenyon Medal by the British Academy, and the Pommerance Medal by the American Institute of Archaeology. While David was a brilliant and influential scholar who inspired a generation of archaeologists across the world, he was also a highly valued colleague and friend. He will be very sorely missed by all of us at Southampton who had the great privilege of benefitting from his friendship, experience and humour.